One of the biggest mistakes I made when first getting started online was not using PLR (Private Label Rights) sooner. At the time, I was creating niche blogs, and writing all the content myself. As a result, I had no time for marketing, sending messages to my lists, or even a life away from my computer! That is when I discovered the power behind PLR. There are many people who still do not truly understand what PLR is, and how it can help their businesses grow exponentially. The internet is full of misrepresented information, and PLR is one topic that is still misunderstood for the value it can offer you and your business – if you buy quality PLR from quality PLR providers. In a nutshell, Private Label Rights (PLR) is just content. It can be purchased from various PLR sellers in different formats such as videos and powerpoint slides, for example, but the most common format is still articles. When you purchase this content, it allows you to put your name on it, without attributing copyright to the person(s) who created the PLR. Private label rights offer you the ability to put your websites together, and create your own products in a fraction of the time it would take you to create them from scratch. I don’t know about you, but I do not want to spend all my time in front of my computer. So, in that way, it saves you a lot of time! If you buy quality PLR, the research is already done, and will be reflected in the content of the PLR. It saves you money, because you do not have to hire someone to make all the content for you from scratch. In other words, if you want to hire someone to create exclusive content for you, then expect it to cost you hundreds (if not thousands, in some cases) of dollars. In the case of PLR, you are paying often only around $1 to $1.25 per page of content. That is very inexpensive, especially when you find a quality PLR provider. Many PLR providers also sell limited licences, thus reducing distribution of the content. You are not good at writing, and you want to appear professional. When I come across good content on a website, but I notice a lot of spelling and grammatical errors, it lowers my opinion of the site considerably. There are more reasons of why PLR is such a good business investment, but let’s move on. Often, people only think of using PLR as a way to fill up their websites and autoresponders with content. That’s all good, but if you get creative, you can use your PLR in more ways than this! 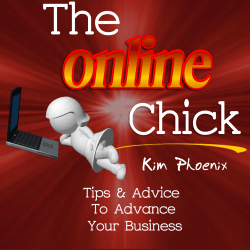 You can usually take PLR that you purchase, and repurpose the same information/content into many different formats. Turn written articles into videos that you then upload to YouTube, Vimeo, and other video sharing sites. Create You can purchase PLR articles, and use that written content to make the Powerpoint slides that you will use on your webinar. The other option is you can purchase PLR Powerpoint presentations/slides that already have the content on them, and then you can immediately put them to use to conduct your webinar. Promote an affiliate product by taking several related PLR articles, and compiling them into a report that you then give away. Turn PLR content into audios that you submit as podcasts to You can also add the audio on your website. WordPress offers many audio player plugin options. Use PLR articles to create a brandable report that your affiliates can give away, branded with their own affiliate links (including the links for your affiliate program). Create an opt-in page with an irresistible offer, created from PLR. For example, you could use PLR to create a video on a hot topic, and then people can get that video when they opt in to your list. Create apps for the app store. You may need to hire someone to make the app for you, but you can use PLR as your content for that app. Use PLR to create a product that you can use as a bonus to give customers incentive to buy through your affiliate link instead of your competitor’s link. As you can see, the sky’s the limit! Stop thinking about PLR as simply content you can use for your website, blogs. or autoresponders. Although that is still important, there are so many more creative ways to use PLR that you purchase. That includes knowing how to repurpose your PLR in as many different methods as you can. Doing this will help your business grow to new levels.